By Miriam Valverde on Tuesday, June 27th, 2017 at 5:42 p.m.
President Donald Trump recently told supporters that he wanted to reduce the number of people receiving public assistance, and he wants to put in place new rules barring immigrants from receiving government benefits for at least five years. "We want to get our people off of welfare and back to work. We also want to preserve our safety net for struggling Americans who truly need help," Trump said in Cedar Rapids, Iowa, on June 21. "That's why I believe the time has come for new immigration rules which say that those seeking admission into our country must be able to support themselves financially and should not use welfare for a period of at least five years." Trump said legislation for that purpose would come "very shortly." But several media outlets pointed out that a law on benefits for immigrants already exists, passed more than 20 years ago, though it had some exceptions. Neither Trump or administration officials have detailed exactly what Trump would like to see in new legislation that would be different from the 1996 law. Here, we lay out what’s already on the books and what we’ve heard so far from Trump’s team. The Personal Responsibility and Work Opportunity Reconciliation Act of 1996 said immigrants who entered the United States on or after Aug. 22, 1996, (when the law was enacted) would not be eligible for federal "means-tested" public benefits for five years, starting on the date of their entry into the United States with a status that met the definition of "qualified alien." The term qualified alien included lawful permanent residents, refugees and asylees. But the law outlined several exemptions and said certain groups were not subject to the five-year restriction, including refugees and asylees, military veterans, and active duty military members along with their spouses and unmarried dependent children. States such as California and New York fund some benefits for immigrants who are restricted by the five-year rule, said Randy Capps, director of research for U.S. programs at the Migration Policy Institute, a nonpartisan think tank. A December 2015 report from the National Immigration Law Center also noted that since the passage of the 1996 law, additional legislation has expanded access to SNAP for some individuals, including qualified immigrant children. Also, in 2000, Congress allowed survivors of trafficking to become eligible for federal public benefits "to the same extent as refugees, regardless of whether they have a qualified immigrant status," the report said. Individuals living in the country illegally and those who arrive on non-immigrant visas (such as students and tourists) are generally not eligible for federal public benefits, but are able to receive care for emergency medical conditions, short-term non-cash, in-kind emergency disaster relief, crisis counseling and select other services. Trump’s spokesman Sean Spicer at a June 23 press briefing said the president was aware of the 1996 law already restricting federal public benefits. "But that law, while on the books, has not been enforced and clearly either needs to be reexamined, enforced, or new legislation needs to be introduced," Spicer said. 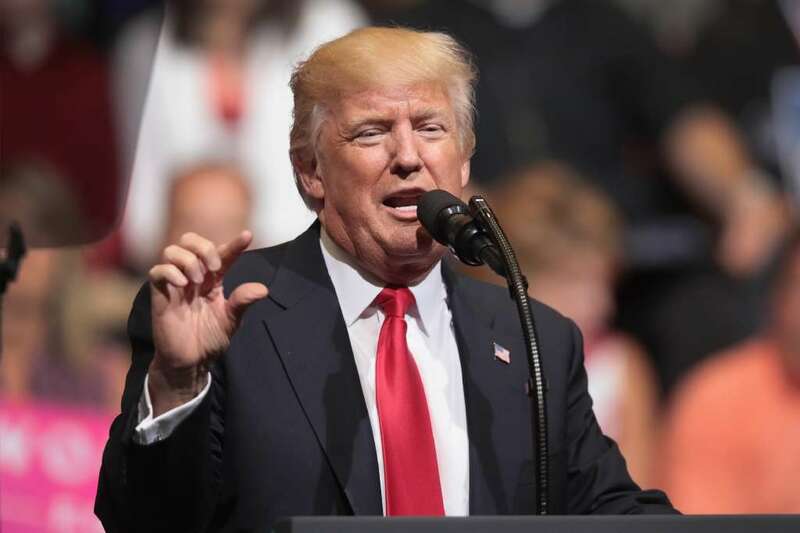 Trump’s fiscal year 2018 budget proposal said welfare and immigration were among the eight pillars Trump wanted to reform. The budget said the National Academy of Sciences found that in 2013 first-generation immigrants and their dependents may cost all levels of government $279 billion more than they paid in taxes. Trump said a variation of this in his February address to Congress. FactCheck.org and the Washington Post’s Fact Checker noted that Trump’s claim did not reference long-term contributions of the children of immigrants. The National Academies of Sciences, Engineering, and Medicine issued a statement in response to Trump’s claim, saying: "The report found that the long-term impact of immigration on the wages and employment of native-born workers overall is very small, and that any negative impacts are most likely to be found for prior immigrants or native-born high school dropouts. First-generation immigrants are more costly to governments than are the native-born, but the second generation are among the strongest fiscal and economic contributors in the U.S. The report concludes that immigration has an overall positive impact on long-run economic growth in the U.S."
Nonetheless, Trump’s budget said some of the billions-of-dollars cost was driven by the nation’s refugee policy that allows them to be "instantly eligible for time-limited cash benefits and numerous non-cash federal benefits, including food assistance through SNAP, medical care, and education, as well as a host of state and local benefits." The budget said it supports immigration reform in favor of merit-based admissions for legal immigrants, an end to illegal immigration and "substantial reduction" in refugee admissions. Trump in March met with Republican senators who support his campaign promise to reform legal immigration. Senators Tom Cotton and David Perdue introduced legislation in February seeking to cap refugee admissions per fiscal year to 50,000, to reduce the number of family-sponsored immigrants, and to eliminate the diversity visa program, among other restrictions.